TAY NINH - After three days of scouring the cliffs of Nui Ba Den in Operation Cliffdweller, the Regulars of the 3d Battalion, 22d Infantry killed 109 VC/NVA soldiers on the mountain's cave-pocked northern face. In a complex maneuver of blocking forces and sweep elements, Task Force Jones, consisting of two battalions, the Regulars and the Dreadnaughts of the 2d Battalion, 34th Armor succeeded in bottling up a large number of enemy troops in the caves of the Black Virgin Mountain, and her sister, Nui Cau. Bravo and Charlie Companies of the Regulars moved out from the top of the mountain while recon elements and sniper teams were inserted atop Nui Cau by the 187th Assault Helicopter Company in a daring combat assault, one ship every 30 seconds. THE THREE ELEMENTS of Regulars, under artillery and support cover from the 90mm guns of the Dreadnaught tanks moved down and around the mountain and found several caves and caches of enemy medical supplies and documents. In the early morning the combined force received small arms and automatic weapons fire. Pulling up as many men as possible the Regulars returned the fire of an unknown size enemy force with organic weapons fire. AS THE ACTION continued, Delta Company was inserted. At approximately the same time ground forces called in air support from Air Force and Army aircraft. The FACs, marking the enemy's positions for Air Force Phantom jets led the way for a devastating air attack. Recon and sniper teams took a toll on the enemy forces, killing five from their position en Nui Cau. All three elements found numerous caves and buried bodies of NVA troops killed by air which preceded the morning's reconnaissance. THE ENEMY SOLDIERS found themselves pushed against a wall and caught in a ground and air crossfire, as the Regulars moved from cave to cave chasing the now dispersing troops. Toward early evening the battle took on an intermittent effect. The Regulars continued their slow march down the hill, still encountering numerous small groups of enemy hidden in tunnels. The NVA troops were forced to seek the refuge in the caves since their only escape route, the saddle-type valley between Nui Ba Den and Nui Cau, was completely sealed off at the bottom by tanks of Alfa Company Dreadnaughts. AS NIGHT FELL on the mountain, a platoon from the 4th Battalion, 9th Infantry Manchus was called in to provide security for the Armor Battalion. At the same time, the Regulars working their way down the mountain began setting up night positions. Reconning the area in which they were to set up their positions, the men found several more enemy soldiers still taking refuge in caves. After routing the enemy from these positions, the Regulars set up their positions and took a brief but much earned rest. Describing the days action, Captain John Gray of Austin, Tex., the battalion staff officer said, "this is the longest contact we've had on the mountain in months. Right now it looks like we've hit an enemy base camp or headquarters, but we'll have to check the area more thoroughly to be certain." In addition to the 109 enemy soldiers killed the Regulars captured one carbine, one SKA, 10 pounds of documents, 5 pounds of medical supplies and assorted enemy web gear. FIRE SUPPORT BASE WOOD III - Fire Brigade Infantrymen of Bravo Troop, 3rd Squadron, 4th Cavalry while on a reconnaissance mission in the Boi Loi Woods recently located an NVA Regimental Headquarters. In the action that followed 10 NVA surrendered and 5 more were killed. A total of 9 enemy radio sets were also captured along with documents, weapons and miscellaneous equipment. Captain Charles Garefine of Flemington, N.J. commander of Bravo Troop said, "We were moving to a new night laager site. My 3rd Platoon element spotted two of the enemy running through the brush. We took them under fire, and got both of them. Then we put our dismounts down and began a search of the area." 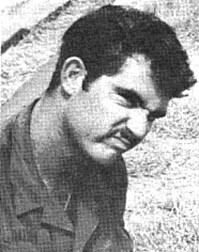 ONE OF THE searchers was Specialist 4 William C. Muskevisch, a Bravo machine gunner from Nelondon, Wis. He said, "Sergeant Gerron C. Morgan, (Pickens, S.C.) one of our tank commanders and myself came across a tunnel entrance. We started off by throwing a few smoke and frag grenades inside. When we checked the tunnel we found three enemy dead and took a prisoner. The PW told us there wasn't anyone else left in the tunnel, but we decided to check it out anyway." Muskevisch continued, "By this time we saw some of our red smoke coming out of another entrance about 100 meters away. One interpreter and two Hoi Chanhs went in one entrance and Sergeant Morgan and I went in the other. "The first thing I saw inside was a radio and an AK-47. Then I heard voices. At first I thought it was our Hoi Chanhs, but all of a sudden they opened fire with an AK. We sure got out of there fast." Morgan continued the account, "We put a shaped charge in the tunnel hoping to cave it in, but the only thing it did was make the entrance bigger." THE BRAVO TROOPERS followed the enemy down into their tunnel bunker complex one more time. This time when they came out they had 9 POW's, 5 AK-47's, 1 K54 pistol, 9 radios, 2 field phones and 5 lbs of documents, including the complete SOI of the NVA Regiment working in that area. Sergeant Joy D. Herrell of Olden, Tex. a track commander of one of the Troops APC's said, "We've been searching for enemy around here for about 8 days. It seemed like they were always just one step ahead of us. But we finally caught up with them. My heart raised right up to the clouds when we saw all those radios and field phones." It was later determined that the enemy complex had been used as a possible Regimental Headquarters and Communications Center. The result of the action was a total of 10 enemy captured and 5 killed. The following morning a B-52 raid targeted the area. Troops sweeping the area later in the day found an additional AK-47 along with one enemy dead, another radio, batteries and an additional 4 pounds of documents. CU CHI - While fellow troopers crowded around to get a bite to eat, Sergeant Lonnie Dotson of Anaheim, California had visions of his favorite goodies dancing in his head. It could be homemade chocolate cookies, a large can of salty cashews, two dozens of his favorite candy bars or two or three large bags of pretzels or potato chips to eat later on with a cold soda. It could have been any of these. A long groan of sheer disappointment went up from the group when the box was finally unwrapped and opened. Inside Dotson found - would you believe - cans and more cans of "C" rations! After taking a bit of razzing from his friends Dotson, who is with Alfa Troop, 3d Squad, 4th Cav., said "I wrote home a few weeks ago asking my folks to send a box of goodies. You see, my Dad is a career soldier in the Army. I guess he never minded a good can of C's so I'm sure he thought I'd feel the same way." He has a healthy supply of lip smacking ham and eggs, and ham and lima beans, not to mention fresh fruit cake, mouth watering date pudding and, last but not least, a dozen packets of powdered cocoa. "I'm probably the only man in the Fire Support Base that didn't have to worry one bit about having his friends eat up everything all at once or trying to find a place to stash whatever I could save for a snack later," Dotson said. "But it was all sure good for a lot of laughs and all of us can use that anytime, right?" PHUOC LUU - Gunships from the 116th Assault Helicopter Company and troopers from 2d Battalion, 27th Infantry killed 25 NVA/VC and wounded 18 more in a daylight battle one kilometer east of the Cambodian border recently. 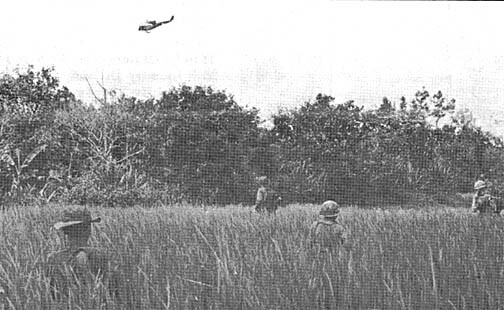 "It was reported to us that NVA would be crossing the border into the Phuoc Luu village area to use strong-arm tactics to collect taxes and rice from the villagers," said Wolfhound Battalion Commander Lieutenant Colonel George Custer of Du Pont, Wash. "So we set up in ambush sites near the border to guard against his entry to harass the farmers," Custer said. Delta Company Wolfhounds working out of Phuoc Luu village sent out the ambush teams. "It was getting late in the afternoon when our Vietnamese counterpart handed me the binoculars and pointed out to our west," said Specialist Four Dana Martin, Hermiston, Ore. "It was one NVA walking alone carrying a rifle." "We fired at him. Some of the bullets strayed into a hedgerow and flushed out four more," said Sergeant Nelson Fox, Smyrna, N.Y. "We engaged them and also called in the 'Stinger' gunships." The gunships raked the hedgerow and started receiving fire from a large group of enemy, estimated to be 40 strong. What was left of the enemy force ran back across the border and I don't think they will be back too soon," Martin continued. SP5 Neal J. Carwile, Co B, 25th S&T Bn. 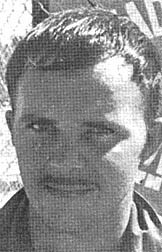 SP4 Larry Butcher, Co D, 2d Bn, 14th Inf. You're short! That tingle under your beltline is getting so intense you feel like you're already airborne on that gorgeous "Freedom Bird." Pure bliss, almost. But wait!! What about all that stuff that's been accumulating for the past year: the radio or tape recorder, the camera gear, those books, and all those clothes? You start asking around about what you can take home. Your buddies fill you in on all the latest "facts" of what you can send and how. You're straight now, right? WRONG!! A TALK WITH Master Sergeant Joseph Headen, NCOIC of Division Transportation and the customs agent for Cu Chi, reveals that much misinformation is passed along by men who misinterpret what they've heard. MSG Headen stresses that times and circumstances change. What might have been true a few months ago in Vietnam may not be true today. Hold baggage is packaged in wooden crates while you wait. Heavy padding and wrapping paper are used to protect your property. Many specially made crates are on hand for items such as tape recorders and amplifier systems which are handled daily. ALL HOLD BAGGAGE is moved by major commercial carriers with less than one per cent claims for damage. Shipping takes two to four weeks depending on your location in the United States. You can ship your hold baggage anytime after you receive your DEROS orders. Shipping is at U.S. Government expense and includes insurance. Simply take your personal possessions to the Personal Property Branch - sometimes called the "Hold Baggage Depot" - nearest you. In Cu Chi go to the side door of Building T-3131 next to the APO. In Tay Ninh the office is located near 1st Brigade Headquarters. The offices are open from 0800 hours to 1700 hours daily and closed on Sundays. They are closed during chow hours. Emergency leaves may be handled anytime, day or night. ONLY ONE SHIPMENT can be made per man, and shipments can be made only to your home of record or your next duty station. These may be sent to both your home of record and to your next duty station if you want to split your shipment. The important thing to remember is that all hold baggage must be sent at the same time. Keep in mind, too, that you are also allowed to carry 66 lbs of standard clothing issue baggage plus 134 lbs of excess baggage with you on the "Freedom Bird." Thus it's not necessary to send everything in your hold baggage. DON'T package your belongings with tape, cord or other firm wrapping devices. All items to be sent Stateside will be inspected and wrapped separately or in small groups before final packaging in large wooden crates. Original containers for most items is recommended for an extra measure of shock-proofing. Items which may NOT be sent are: U.S. Government property of any kind (regardless of who says in writing that you can send it); any pressurized can, liquids, flammables, batteries, shoe polish, soap, toothpaste, pens or similar articles that could leak, burst, melt or burn; loose tobacco or cigars in excess of 100; any material advocating treason or insurrection in the U.S.; any obscene or pornographic material including photos of bodies; any lottery ticket or other lottery materials; counterfeit money or Government stamps; marijuana or narcotic drugs; any article originating in Communist China, North Korea or North Vietnam and a few other items. GOVERNMENT REGULATIONS establish PCS weight limits for troops returning from Vietnam. Following is the table for unaccompanied baggage for Army and Air Force personnel: Officers: 08-010 - 1,000 lbs net; 06-07 - 800 lbs net; 01-05 - 600 lbs net; Warrant Officers: 600 lbs net; Enlisted: E-4 over four years service through E-9 - 400 lbs net; Other enlisted - 200 lbs gross. Weight allowances for hold baggage are strictly enforced. ONE OF THE common misconceptions about the hold baggage service is that shipments under 50 lbs cannot be sent at government expense. The truth is that shipments under 50 lbs are sent at government expense but through the Post Office System and not by commercial carriers. The Government pays the space available mail (SAM) rate for these packages. The only difference is that they are not insured at government expense. Although there is very little chance of your personal property being damaged (only one per cent are) if it does happen, you may file a claim with the Judge Advocate General (JAG). If you have any questions about any baggage problem, you are encouraged to get the facts straight by calling the Cu Chi Personal Property Branch at 6447 or the Division Transportation Officer at 6428. In Tay Ninh call 252. If you can't get to a phone that will link you with one of these places, drop a note describing the item in question to: Transportation Officer, 25th Infantry Division, APO 96225. Do it now. Don't let being too short become your Problem. TAY NINH - Private First Class Duane Schindler has been added to the Tropic Lightning Honor Roll by distinguished heroic actions in December while serving as a rifleman with Company B, 2d Battalion, 27th Infantry Wolfhounds. After being airlifted into an area of contact to reinforce a platoon of friendly soldiers, Private Schindler's platoon was moving toward an enemy bunker complex when they suddenly came under heavy fire. Seeing several men pinned down by the fire, Private Schindler immediately began to move to a strategic position near one of the enemy bunkers. Private Schindler exposed himself to the hail of fire as he silenced the hostile emplacement with a hand grenade. Once again he came under fire from another enemy position and he unhesitatingly placed devastating fire on the enemy which enabled his comrades to move to a safe area. His valorous actions contributed to the success of the mission and the overpowering of a hostile force. The Army of the Republic of Vietnam continues to take over its share of the ground fighting as a result of the Vietnamization of the war. Within the Tropic Lightning Division there is a concentrated effort to assist the ARVN artillerymen so they will be able to increase the fire support of their own infantry operations. PLAYING A LARGE role in this effort is the 1st Battalion, 8th Field Artillery, which now has an artillery liaison team to coordinate with and assist Alfa Battery, 252nd ARVN Artillery Battalion at Trung Lap. The "arty" team is led by Captain James H. Fisher of San Antonio, Tex. 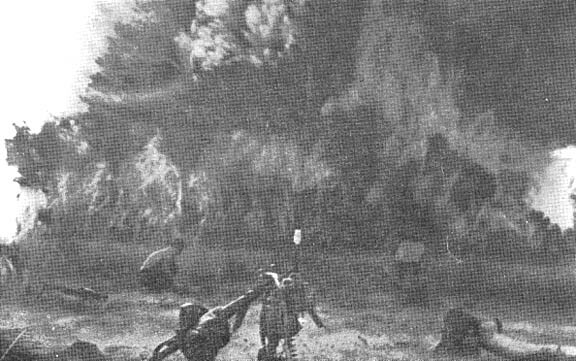 The ARVN Battery, which has four 105mm howitzers at Trung Lap, coordinates with Fisher and obtains clearances for their fire missions from the Automatic Eighth's Fire Direction Center at Cu Chi Base Camp. The ARVN artillery fires direct support for the 1st Battalion, 49th ARVN Infantry, and occasionally it has fired in support of the Tropic Lightning's 2nd Battalion, 14th Infantry Golden Dragons. 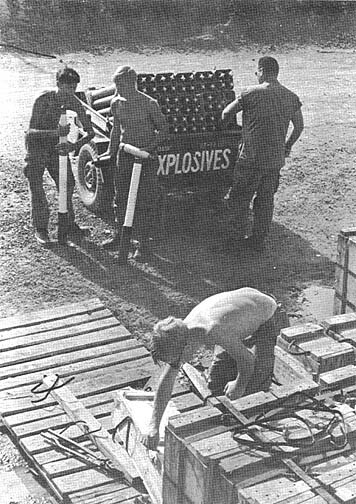 THE BATTERY ALSO fires in conjunction with the 1st of the 8th Batteries when shooting preps for joint US-ARVN operations. Describing the accomplishment of the ARVN Battery, Fisher says, "This Battery has repeatedly demonstrated skills in nearly all phases of artillery support. They are continually working to equal the performance of US Batteries." Fisher continued, "When their ground troops are in contact, they waste little time. The cannoneers are quick and aggressive in firing. There's just not much delay when their troops need support." "Captain Le Van Nien, the ARVN Battery Commander, is one of the best in the 252 Battalion," Fisher says. He has improved his men and their operations. He is always ready and willing to learn." New personnel bunkers have been constructed for the cannoneers, the Battery area has been fenced in and leveled, and all positions have been freshly painted. Also, a new club, constructed mainly of ammo boxes, was recently built by the Vietnamese artillerymen. TAY NINH - Back in the "world" household moving is relatively simple. You just get some boxes from the corner grocery store, pack everything up, rent a trailer, and away you go. But imagine the complications that would arise if you had to tear your house down and take it with you. The "On Time" cannoneers of Alfa Battery, 7th Bn 11th Arty recently did just that when they moved out of Fire Support Base Crook. Rather than leave anything behind for "Charlie" who lives next door, the artillerymen tore everything down and took it with them. FSB Crook, which was located 19 miles northwest of Tay Ninh, was built right in the middle of enemy infiltration routes in April 1969. Apparently it cramped Charlie's style, because on the 6th, 7th, and 8th of June 1969, NVA forces sent two battalions against the tiny outpost in an attempt to overrun it. The battle turned out to be one of the most lopsided Allied victories of the war. Some 400 NVA were killed while Crook suffered only light damage. During the 8 months of Crook's existence, the cannoneers of Alfa Battery spent most of their time between fire missions working on "home improvements." The results were impressive. Gun parapets and ammo bunkers were sandbagged with machine-like uniformity. Personnel bunkers looked like penthouse pads inside, and even boasted antiqued-ammo-box paneling on the walls. Now all that remains of FSB Crook is a piece of scarred ground, some good war stories, and a chapter in Tropic Lightning history. TAY NINH - Versatility is one characteristic of a crack unit. It is a sign that a unit can be ready at anytime, at anyplace, doing most anything. And that's exactly what the Charlie Company Tomahawks of the 4th Battalion (Mechanized) 23d Infantry have been in recent operations. They are a mechanized company, but have been employed in airmobile operations, regular ground operations, and their latest venture, that of river patrolling. 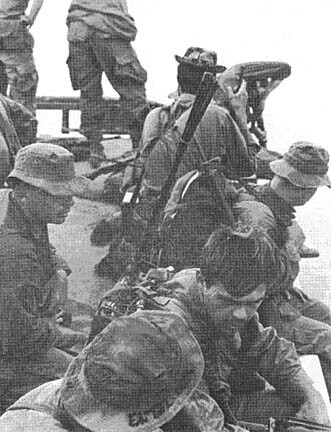 Working hand in hand with the Naval Riverine forces at Go Dau Ha, Charlie Company set up night ambushes along the Vam Co Dong river, hoping to block enemy infiltration coming from Cambodia. "Intelligence reports told us the enemy was moving by sampan across the river to Nui Ba Den and into the rubber plantations," said commanding officer Captain John Aljets of Fargo, N.D., "I could see where infiltration was likely and I'm sure we forced a change in their tactics." Specialist 4 Leroy Byre of Milwaukie, Ore., commented, "We never know for sure what we're going to do next but that's what I like because it makes the time go by much faster." Sgt. John Mohlar added, "This operation was quite a change from our past ones, but it keeps the men on their toes ready for action that could come at any time." "The men that I have here are good because they like their jobs." That's what Lieutenant Colonel Donald W. Fisher from Weatherford, Tex. commander of the 341st Aviation Detachment and the Cu Chi airfield, has to say about his men and their duties. The men all work on 12-hour shifts, 24 hours a day. Fifteen work in the airfield's air traffic observation tower. Nine more work in the Ground Control Approach (GCA) radar station. They are all recognized by the Federal Aviation Administration (FAA) as official air traffic controllers. A total of 38 more enlisted men work at the central refueling and the central rearmament points which serve all the helicopters in the division. RECENTLY, THE detachment was commended by Major General Harris W. Hollis, the 25th Infantry Division commanding general, for using its professional efficiency in speeding up landings and take-offs of aircraft during Operation Holly. Operation Holly involved bringing more than 5,000 troops into Cu Chi from surrounding fire support bases, Tan An, and Tay Ninh in order to see the Bob Hope Show. One hour and fifteen minutes after the show had finished, the visiting troops had all been returned to their duty stations. 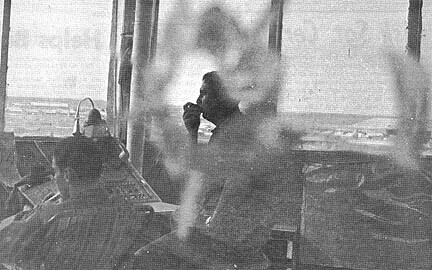 The air traffic controllers had directed at least 2,700 landings and take-offs that day. At times, they had been "stacked" four deep around the base waiting to land. But they have had a lot of practice at handling air traffic. They direct an average of 2,000 missions on an average day. "When it gets busy here, we sometimes have pilots talking to us on each of our three radios - UHF, VHF, and FM. The controller must listen to all three at one time, then talk to each of them one at a time as fast as possible," says Specialist 4 Alan R. Brakke of Foreman, N.D., a tower air controller. THE MEN IN GCA, who can see every flying aircraft from Cu Chi to Tay Ninh on their radar scopes, are responsible for directing helicopters away from the path of artillery rounds. It also keeps pilots out of each other's flight paths in order to prevent mid-air collisions. And of course, they give the pilots landing instructions in bad weather when aircraft must land through the use of their instruments. "Even in good weather, the GCA air controllers practice talking the pilots in," says Sergeant First Class Thomas I. Smith, from Port Arthur, Tex., the detachment's NCOIC. "Then when the pilots do have to land by their instruments in bad weather, there's no problem." The 341st Avn. Det. is one of the few such detachments in Vietnam that is not only responsible for air traffic control but is also in charge of refueling and supplying armaments for all the helicopters, too. THE MEN OF the 341st Avn. Det. who work there must insure that the four 25,000 gallon drums which hold the helicopter fuel supply are always full and that none of the fuel becomes contaminated. The men who work at the central helicopter rearming point spend their days breaking rockets out of their boxes, arming the rockets, and insuring that the rockets are handled properly so that there are no accidents. The rearm point supplies the helicopters of all of Cu Chi's aviation battalions with the proper armaments. "The main function is to insure the safety of all the aircraft which are flying over and around Cu Chi," said Lt. Col. Fisher. "Fortunately, the men display such professionalism in their work that they have made that job much easier." Just one of the jobs is to arm rockets for gunships. 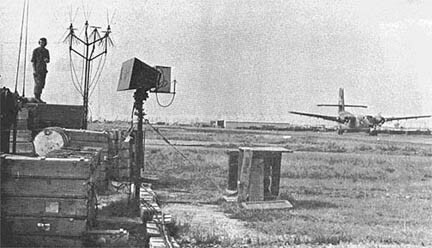 Radar scopes can pick up flights in Cu Chi as far away as Tay Ninh City. Sergeant James Clark, Kingsport, Tenn., ATC chief, directs flights in the tower. Picture is taken through a shrapnel hole in the tower. on tapes that pick up ATC/Pilots conversations. 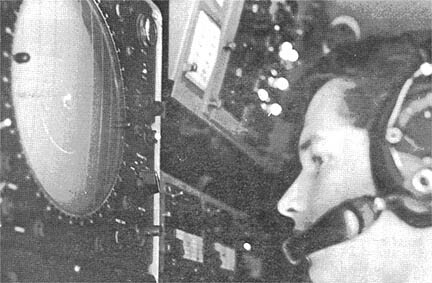 SP4 John Morgan, Venice, Fla., scans an instrument panel for weather results. VINH NINH - A two-room, brick school house for Buddhist children is under construction here and will open for classes a little more than 7 weeks after its foundation was laid. The work is being done free by craftsmen from the village. The supplies were purchased from the local economy and the money was donated by the men of the 725th Maintenance Battalion. THE BATTALION, which also sponsors the Vien Rose orphanage at Hoc Mon, undertook the project in early December as a means to provide an adequate schoolhouse for 130 students and their teacher, Tien Hue, a 25-year-old Buddhist monk. "The old school is a bamboo and straw shack," said Captain Frank Mayer of Waverly, New York, the 725th's Civil Affairs officer. "It has straight wooden benches the children must climb over to reach their seats," he said. "There's only one blackboard about 21/2 feet square." THE VILLAGERS ARE doing the building all by themselves. Their tools are simple - string for measuring, chisels for cutting, and notches for fastening the boards. BAC HA - The Fire Brigade's 2d Battalion, 14th Infantry Dragons extended a helping hand to a large group of small children from the Bac Ha orphanage recently. Captain Fletcher Wideman, Huntsville Ala., Chaplain for the Golden Dragons made the arrangements to have 28 children from the Catholic orphanage visit the 2d of the 14th Headquarters at Cu Chi Base Camp. THE CHILDREN, who range in age from five to eight years, enjoyed the party at the Dragon Mess Hall. First Lieutenant Anthony York of Fort Payne, Ala. said, "The children could write English pretty well, so this was the best way we had to talk to them. I would write a short note to them and they would write the answer and vice versa." After "chow" the children were given a short tour of Cu Chi Base Camp. They were shown the Eighth Aerial Port, the swimming pool at Waikiki East, the Division Chapel and Division Headquarters. AT THE CLOSE of the party all the children were given gifts from the soldiers of the 2nd Battalion, 14th Infantry and from a number of Church organizations in the United States. 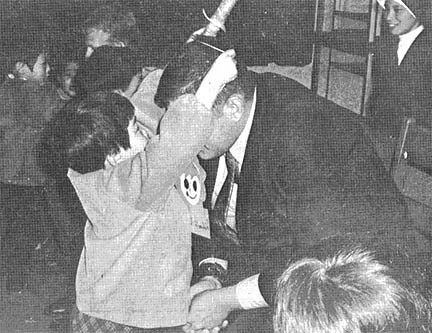 Another of the Dragons who helped make the party such a success was Sergeant John Trottier of Berlin, N.H., who said, "We hope to have the children from the Orphanage visit us at least every three months. They were really anxious to come and they all seemed to have a great time when they got here." DEAR SGT CERTAIN: Your astute understanding of the military life and the intricate knowledge required to satisfy the task assignments of the modern soldier has caused us to turn to you for help. Our problem is our sergeant. He wants us to learn everything there is to know about the technical equipment we use. But everytime we ask a question he says, "if I told you the answer you won't remember, so go read the manual." We've tried our best but for the last two weeks we've been stuck on the maintenance and operation of the injector selector deflector for the projector protectors we have. According to the manual when the projector protector injector selector malfunctions we are to hook up the projector protector injector selector deflector detector to the projector protector injector selector. Based upon readings from the projector protector injector selector deflector detector to select the proper projector protector injector selector perfector which fixes the injector selector deflector. Honestly Surge we have tried our best, but tomorrow the projector protector injector selector detector inspector is scheduled to inspect our projector protector injector selector detectors and we're frightened. Can you give us immediate advice? DEAR M&J: Let me see now. It seems to me that when I was a kid I used to have an erector projector protector injector selector deflector detector to the projector protector injector selector. When it broke, my mother bought an erector projector protector injector selector deflector detector corrector. Now, about your projector protector injector selector deflector detector. You probably won't remember the answer anyhow, so go read the manual. CONFIDENTIAL TO MAMA-SAN: I have read your letter and found out that Maytag does not deliver washing machines to Cu Chi. You will have to make do with what you have available. There is a nice selection of rocks on the road to Saigon that make dandy little scrubbers. Mama-sans have written me about little household hints. During the rainy season take the cap off a tube of brushless shave cream and insert it in the hip pockets of trousers. This saves a lot of time washing. 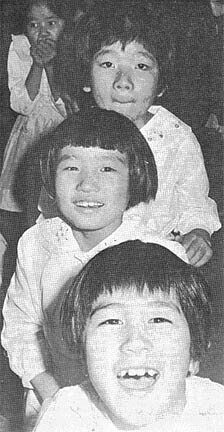 CU CHI, Vietnam - Each year the hundred and fifty children of the Holy Family Home Orphanage in Osaka, Japan, look forward to a visit from their soldier "fathers" of the 2/27th Wolfhounds. 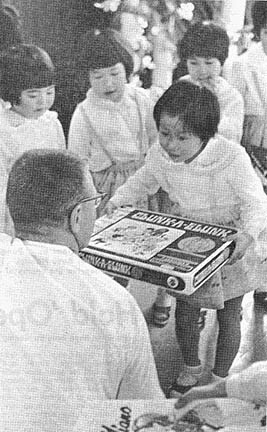 The annual visit has become tradition since 1949 when the 27th Infantry Regiment, stationed at Camp Sakai near Osaka, "adopted" the orphanage and pledged financial aid. Later the 1/8th Artillery joined the Wolfhounds in contributing and being "fathers" to the orphaned children. Christmas 1969 saw the return of U.S. soldiers to the Home - six from the three units serving in Vietnam and two from the newly - activated 4th Brigade Wolfhounds in Hawaii. They arrived with three sacks - mysteriously U.S. mail-size, chucked with gifts enough for all the children. For the youngsters as for the GI's it was a time for giving. 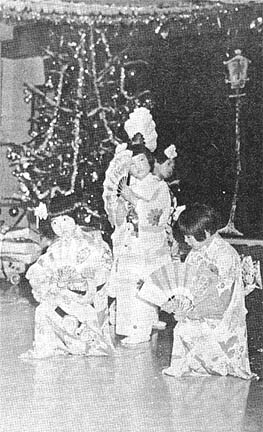 Children from toddlers to pre-teens gave of themselves as they happily entertained their guests - some by singing, others by dancing, still others by just sitting puzzled, wondering who or what soldiers were and why the big occasion. FSB PERSHING - Warriors of the 2d Battalion, 12th Infantry, Stinger gunships, and troops of the 3d Battalion, 49th ARVN Regiment are a deadly combination. This combined force converged at the site of an enemy stronghold 1,400 meters southeast of Trang Bang along the Cau Truong Chua stream. At the close of the 4-hour operation 14 enemy had been killed. The enemy were believed to have been members of the Trang Bang local force. PRIOR TO THE Warrior insertion the Stinger gunships made a reconnaissance of the area. One VC was spotted almost immediately. Minutes later nine more were detected. Opening up with a fiery blast of M-60's, all 10 of the exposed enemy were killed. Several hundred meters to the south along the east side of the stream Charlie Company's first platoon was being inserted. The Warriors were immediately contacted. The alerted Warriors began taking up positions from which to hit the oncoming enemy fleeing the gunships. The first platoon leader, First Lieutenant Melvin A. Miller of Davenport, Iowa, led his men to a thin hedgerow that ran along the edge of the stream. Recounting the action, Miller said, "Captain Neuman, our CO, alerted us right away about the enemy heading in our direction." "We got set up as quick as we could," Miller continued. "We moved to a thin waterlogged hedgerow and waited. It was only a matter of seconds before we saw one of the enemy running down the stream." Shortly after the first enemy troop a second one followed. Specialist 4 James Moss of Alton, Tex., was one of the Warriors who first saw the second enemy. "He hid in a clump of brush in the middle of the stream. PFC Robert Peters and I blasted the hiding place with our M-16's and then threw in a hand grenade for good measure." NEARBY THE TROOPS of the 3d Battalion, 49th ARVN Regiment who were working the same area with the Warriors also cut off the enemy escape route. Two of the enemy were also killed. When the smoke cleared the combined US-ARVN force moved on to sweep the area. Three AK-47 rifles, 1 loaded AK-47 magazine, a hand grenade, booby trap materials, 1 K-54 pistol, and 100 rounds of machine gun ammo were captured. CU CHI - Launching 24 high explosive rounds into a newly rome-plowed area north of Cu Chi Base Camp, Alfa Battery, 1st Battalion, 8th Field Artillery took a toll of 25 enemy in a recent night fire mission that was initiated as a result of radar sightings. A radar set operated by the Tropic Lightning DivArty team at Trung Lap detected personnel moving through the cleared area toward Highway 7 Alfa. 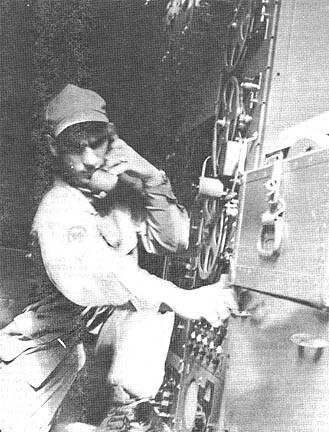 The grid and fire mission was quickly cleared through the Automatic Eighths Fire Direction center. 105mm howitzers began shooting away. 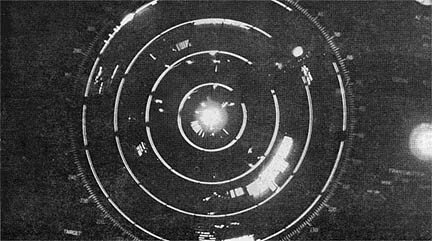 THE ALFA BATTERY cannoneers fired off two dozen rounds in less than two minutes and all were dropped right on target. However, next morning when the area was reconned, there were no enemy found, thus a negative body count. This happens frequently when the artillery fires on radar or aerial sightings. Later in the week however, the results were changed. Charlie Company of the 2nd Battalion, 14th Infantry Golden Dragons moved through the same area during a daytime operation. The Dragons came across a suspicious area and further investigation revealed a mass grave hidden in the hedgerows at the site of an old deserted village located a short distance from the artillery impact area. The Dragon infantrymen found 25 enemy bodies killed by artillery fire. Dressed in blue NVA uniform, the bodies were wrapped in the thin plastic ponchos commonly used by the enemy. It was apparent that the dead NVA had been buried by their own troops since all their equipment and weapons were missing. FIRST LIEUTENANT Thomas J. Cannava of Batavia, Ohio, the 1st of the 8th liaison officer with the Golden Dragons, said, "My guess is that the NVA had been traveling either to or from Trung Lap to pick up supplies. The bodies were found not too far from Highway 7 Alfa which is usually well traveled at night according to radar sightings. Also the origin of some of the incoming rounds we have taken has been traced back to the vicinity where the bodies were found." Captain Fred Berry from Tampa, Fla. said, "This was just another routine fire mission with a rapid and accurate firing by the battery. Nevertheless, I'm sure the mission will serve to brighten up the spirits and morale of not only my troops, but all personnel in the base camp who lose sleep every night as a result of our continuous firing of defensive and radar targets." TAY NINH - Delta Company, 4/9 Manchus operating 14 miles south of Tay Ninh City, out of Tien Thom, was credited with 16 enemy killed recently as one of the company ambush patrols stopped a large group of NVA regulars crossing from Cambodia into Tay Ninh Province. The specially trained five-man team from Delta Company, along with two Regional Force members from the local village, broke wire at dusk and started for their night position. They were to set up adjacent to the road that runs from Cambodia into the village of Ben Cau. 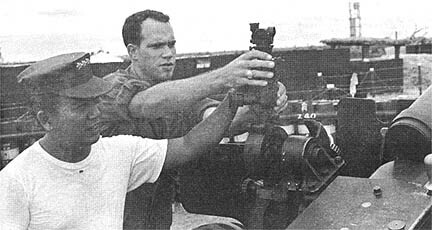 The Manchu RF team had gone about 2 miles before reaching a high rice paddy dike close to their objective, and stopped as Sp4 Lawrence Taylor of Ravema, Mich., used his starlight scope to recon the area. "As soon as I started to scan the road before me, I spotted a file of NVA heading right at me. I saw at least 50 of them before handing the scope back for someone else to check," said Taylor. The men quickly took cover behind an "L" shaped paddy dike for maximum protection as at least 70 NVA had been counted coming their way. Sp4 Lewis V. Miller of Petersburg, Va. took over as RTO. "I called for gunships and artillery to cover the area of movement. We wanted to be ready for them since we had the advantage because the enemy couldn't see us. But we definitely had them in our sights," recalled Taylor. The Manchus opened up as the artillery came down on target. As artillery gunships, mortars and Manchu sniper fire pounded into the region of contact, the enemy broke into five man units and attempted to flee back into their Cambodian sanctuary. "We saw close to 12 enemy fall when we first opened up on them." added SP4 Darrell Gilliam of Farborn, Ohio. FB PATTON - The Golden Dragons of the 2nd Battalion, 14th Infantry dropped in on an enemy underground housing complex recently and did some housewarming. The Dragons from Charlie Company operating near the Ho Bo Woods detected and destroyed a dozen communist bunkers in an area that appeared to have been an enemy base camp. The bunkers were exceptionally large, sturdy and built to last for some time until the Dragons discovered them. Each bunker had as many as four layers of logs and over two feet of hardened overhead cover. Some of the bunkers even had angle iron reinforcement throughout the walls and ceilings. Specialist 4 Billy Noland of Hobbs, N. M. said, "The bunkers weren't very hard to find. It looked like the VC or NVA didn't have the time to do anything in the way of camouflage." "The enemy must have known we were coming and decided to clear out and head for high ground. But after we finished with those bunkers one thing is certain, they won't have any place to come home to."